Bribery rewards are available to current and former employees of channel partners, resellers, and distributors who report corporate bribery confidentially to the U.S. Securities and Exchange Commission (SEC) under the Dodd-Frank program. The Dodd-Frank reward program covers corporate violations of the U.S. Foreign Corrupt Practices Act (FCPA) by SEC-regulated companies. The SEC already has made more than $150 million in payments to whistleblowers. This post will discuss how current or former employees of corporate channel partners, resellers, and distributors working in foreign countries may have reward eligible information relating to bribery. SEC-regulated companies – such as ones in the telecom, technology, defense, healthcare, and automotive sectors – will often use resellers and distributors to make sales to government customers in foreign countries. Some of these channel sales involve bribery, and in the vast majority of the cases the bribes are paid by the channel partners from the margins and rebates received from the SEC-regulated companies. Let’s examine how this scheme often works by using an example from the technology sector. Assume an SEC-regulated software company named ABC Tech sells 1,000 licenses to its preferred Swedish channel partner named Reseller for USD $100,000, which then resells the licenses to the Swedish military. For purposes of simplicity, let’s assume that this is a straight license sale with no value-added work, such as end-customer training by the reseller. Under these circumstances, ABC Tech and Reseller might agree that a 5% margin or markup is reasonable, which would mean that the Swedish military would pay $105,000 to Reseller. But what if Reseller makes the final sale to the Swedish military at $200,000, or at 100% margin. One can assume if Reseller has a small or reasonable margin – which would be sufficient to cover any out-of-pocket expenses Reseller may have and provide it a fair profit for the time invested – that Reseller is not paying bribes or giving kickbacks to Swedish military officials. On the other hand, if there is a large unexplained margin, then one can assume corruption may be afoot. Many SEC-regulated companies have agreed-upon margin ranges with their partners and resellers. But these companies typically do not want to audit those deals because to do so would expose the channel bribery scheme and be very bad for business. In an attempt to create plausible deniability, companies will often contractually agree to not review or audit the pricing of the end customer contract between the reseller and the government customer. These type of agreements can be indicative of possible corruption. Anyone with information relating to a channel sales bribery scheme involving an SEC-regulated company should feel free to email me at arickman@rickmanlegal.com, as this information could be very valuable. Relatedly, sometimes government tenders are rigged for a particular reseller to win. The government officials are part of the scheme because the reseller will use part of its margin to bribe those officials. From the margin, resellers will provide the government officials international trips, payments, and gifts, such as iPads and mobile phones. Channel partners also will often receive rebates from the SEC-regulated company, and in some cases, those rebates will be used to fund the bribes to officials. Many companies’ sales managers believe they can conceal the bribery scheme by having their companies’ resellers and sales channel “take care” of the government officials and finalize the sale with the government end customers. If current or former employees of partners, resellers, and distributors learn of payments, trips, or gifts being provided to government officials to obtain deals or tenders, they should feel free to contact me, as this could be valuable information. 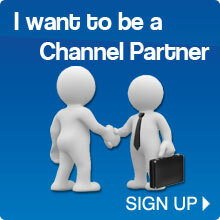 Typically, personnel at channel partners who were directly involved in the scheme have the best information. For more information and details about how the reward program applies to FCPA whistleblowers, please click here.